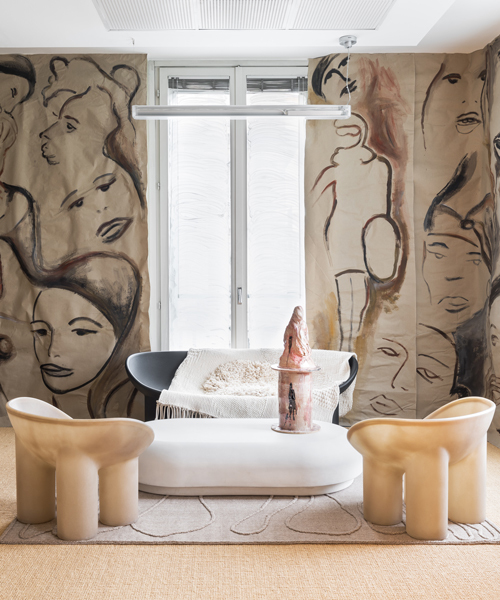 for the proposte 2018 fair, which will be held at lake como from may 2-4, mario bellini fabricates a 130 meter long, spiral-shaped installation from 230 strips of textile. 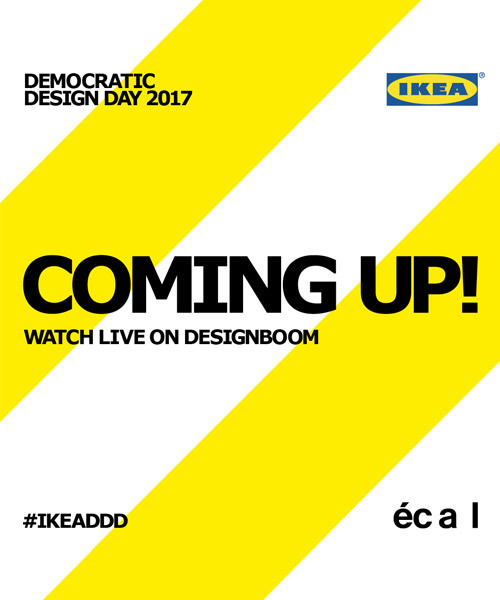 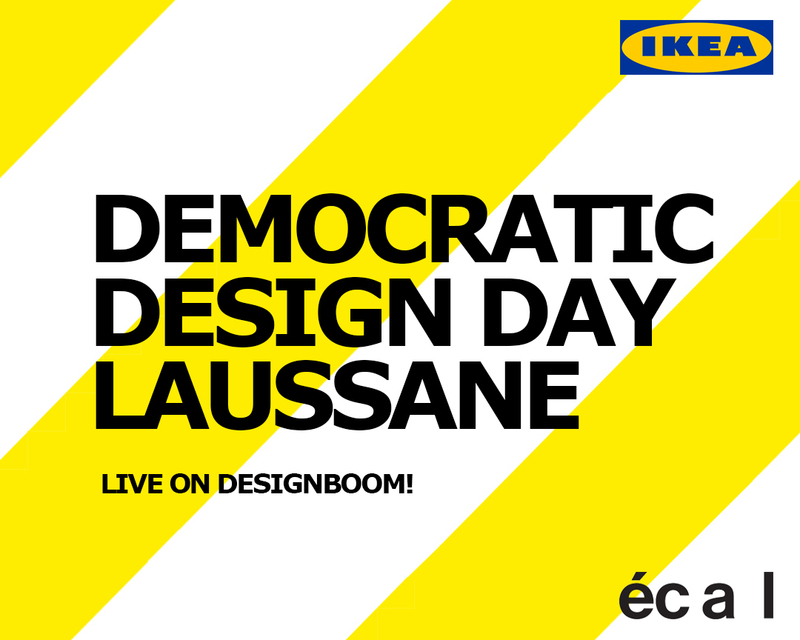 in collaboration with IKEA, designboom invites readers to watch the democratic design day 2017 program presentations now, via our live streaming throughout friday, september 22nd, 2017.
the second intervention at the musée du louvre after I.M. pei's pyramid, this undulating golden plane brings a contemporary character to the 18th century courtyard, cour visconti. 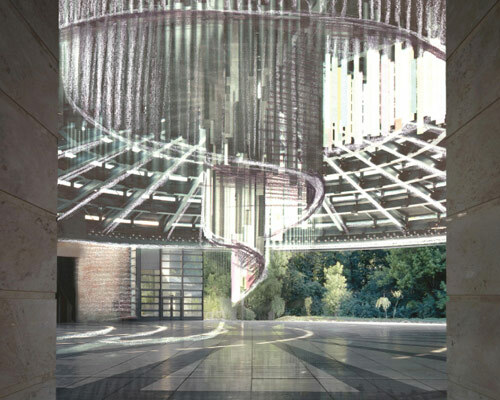 the hill like structure is connected through glass passage ways, allowing guests numerous views of the landscape. 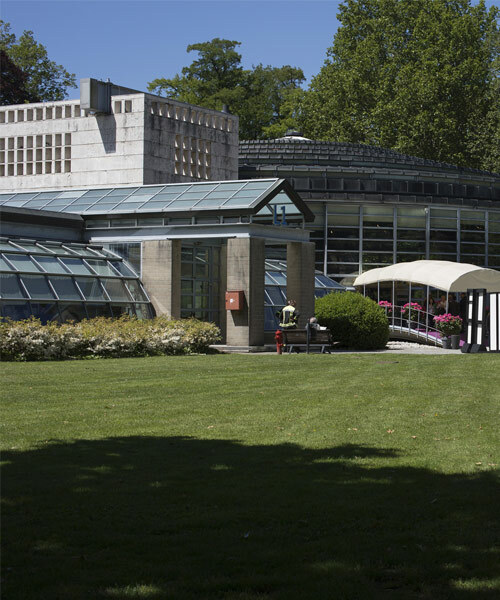 in june this year work is expected to begin on the MIC plus, the new convention center milan fiera milano city designed by mario bellini architects.